The 2015 Organized Play season is nearing its end. But tournaments still remain! The 2015 World Championships will be held next month, along with countless local tournaments around the world before the end of the year. 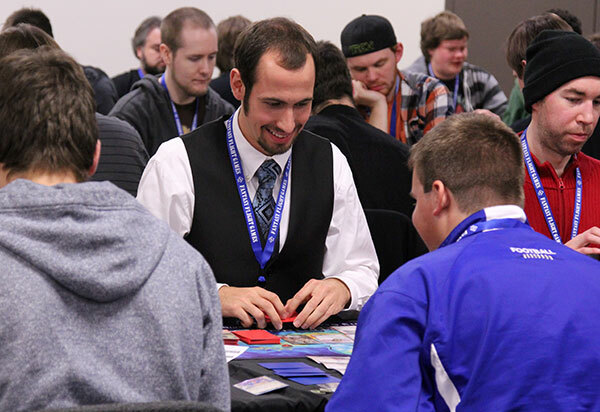 Whether you plan on attending the 2015 World Championships or head to your local store for a tournament, we recommend you read the updated FAQ and tournament rules before doing so. All changes from today’s announcement will go into effect on October 28th, 2015 unless otherwise noted. While the changes today are mostly small tweaks meant to keep tournaments competitive and fun, that doesn’t mean only tournament players should read the new FAQ and tournament rules. In each document, you’ll find answers to many of the most commonly asked questions and rulings. Whether you’re looking to vie for the title of World Champion or play in the comfort of your own home with family and friends, the updated FAQs and tournament rules offer clarity and structure that will give you a better play experience.